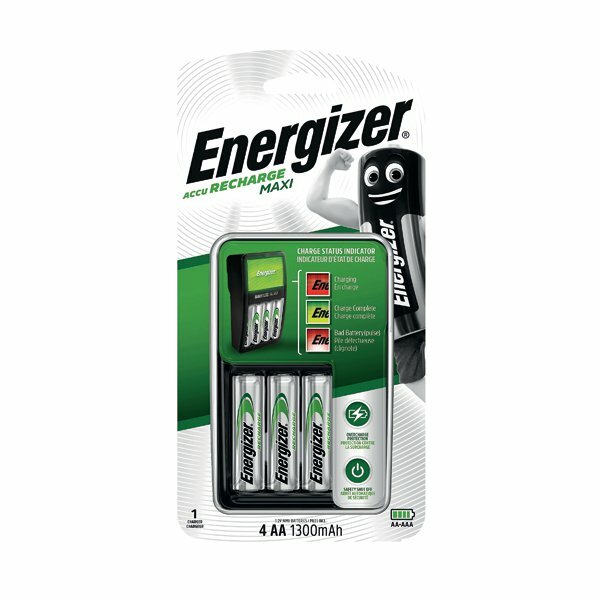 Designed for affordable power, the Energizer Maxi Charger is the ideal choice for recharging batteries quickly and easily. The twin channel design lets you charge up to four batteries at once and supports both AA and AAA size batteries. The handy LED charge indicator shows when your batteries are fully charged and ready for use. Safety features include polarity protection if you insert batteries upside down, and a timer to shut off power after 11 hours to prevent overcharging. 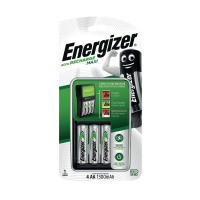 It comes supplied with four AA batteries so you can start working straight away.